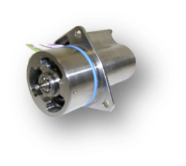 Our portfolio includes a variety of electric motors including DC, AC and Stepper motors. Our motors are highly developed and tested to achieve high performance under severe conditions, all in an optimized space and weight package. 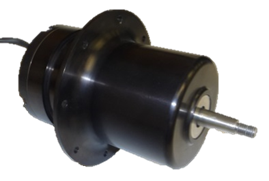 Available framed or frameless, these motors can be configured for wet or dry settings and are designed for conformance to the rigorous aerospace and defense requirements. AC motors consist of framed and frameless synchronous motors up to 10 kW. Used in fluid handling and ECS applications, these products are optimized for electrical characteristics. DC motors are resolver or hall effect commutated devices ranging from a few watts for control applications to 1 kW for utility actuation applications. Stepper motors are of the variable reluctance, permanent magnet, and inverted hybrid types are used for a variety of low power control applications.